In what many experts are describing as shocking, millennials are starting to invest in real estate in significant numbers. Many expected the generation that grew up in the worst recession since the Great Depression to hold off on buying homes and property of their own, but this spending-savvy generation has beaten the odds. Of course, many would-be millennial homebuyers are struggling with student loans and bad credit scores. We can’t help you pay off those student loans, but we do have some tips for buying a home with bad credit. If you’re looking for your first home as a credit-challenged millennial, then use these top tips to help you save a bit of money while still getting the perfect house to call home. It’s no secret that houses are expensive, and the cost of homes across the nation is rising. Buying a home is likely one of the largest expenses you’ll end up paying for in your lifetime, so budgeting appropriately is a must. Just because your dream home is expensive doesn’t mean it’s entirely off the table right away; if you save appropriately and manage your finances well, you can work and save up a reasonable down payment. However, if you’re looking to buy soon, make some of your purchases with credit. Many banks now offer pre-paid credit cards designed to improve your credit score. As long as you make on-time payments, you can start boosting that miserable credit score. When you’re trying to increase your credit score, many people will tell you to get a credit card. Of course, this can be a double-edged sword. To avoid overextending yourself, follow the 30% rule when using credit cards. Personal finance experts recommend limiting your credit utilization to 30% of your credit limit. The federal government actually takes an active interest in helping young people purchase their first home. As a result, there are a variety of low-interest rate federal loan programs. Even if your credit score is a pathetic 500, you may still qualify for some of these programs. 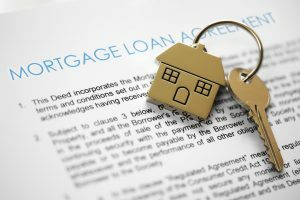 Talk to your mortgage lender about FHA and VA home loan programs, which can be a godsend when trying to buy a home with bad credit. If you’ve been struggling with saving up for a down payment large enough for the size of home you’re looking for, consider purchasing a fixer-upper. These homes need a bit of work, but if you estimate your costs accurately, you can end up saving money. Just make sure you’re being realistic on how much work the house needs done to it for it to be livable; about 35% of remodeling jobs involve the whole home. When purchasing a home, remember that there are more costs involved than what you’re seeing when you look at a listing. Not only will there be closing costs and fees associated with your home purchase, but home ownership has its bills as well. For example, if you’re used to apartment living, you might have limited control over how high or low your energy bills are. Meanwhile, heating and cooling account for 50% of the energy use in the average home, and these can fluctuate significantly depending on the energy-efficiency of the home. When you’re budgeting for your home ownership, don’t forget to include the long-term monthly costs in calculating what you can afford. With all the information available about homes online these days, it can be tempting to try to go into home buying by yourself. However, this can be a big mistake when you’re home shopping, especially if you’re a first-time buyer. 78% of recent buyers found their real estate agent to be a very useful information source. This is because often real estate agents have access to resources and information that the average home buyer doesn’t, such as information about specific homes, particular neighborhoods, or the real estate market in general. Talk to a professional when you’re going through the home buying process to make sure you’ve got all the information you need to make the right choice on buying your home. Have you made your first home purchase already? What advice would you give to first-time millennial home buyers? it’s no secret that the millennial generation of home buyers especially first time home buyers are facing some pretty big financial roadblocks compared to previous generations. As an agent, one of the key characteristics of millennials that you need to understand is that they have an unfavorable debt to income rations. Many of them also have bad credit scores. This can affect interest rates offered possible extra points a mortgage borrower may have to pay and whether or not the potential borrower can be approved for a home. Previous post: Should We Have a Joint Bank Account?